What a fight! What a war! 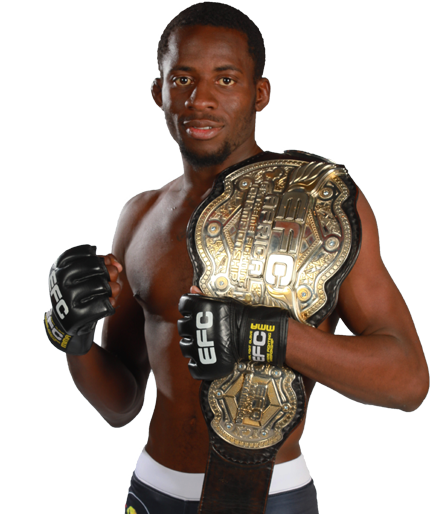 Pretoria, South Africa – Dubbed the greatest fight, and the greatest grudge-match in EFC history, Pena vs Sayed 2 for the EFC bantamweight title at Time Square, Menlyn Maine in Pretoria, South Africa, was all that and more. Pena and Sayed came out spitting bile, amidst a fury of incredible MMA. Trading strike for strike Pena pulled ahead with brutal takedowns, and a stunning head kick that dropped Sayed in the first. But Sayed displayed incredible character, powering through a devastating beating to stay in it and smash the champion with his own clinical strikes all the way into the fourth. However, Pena’s wrestling was the great decider. Again he dropped Sayed, and kept him down with top control, while delivering a steady stream of ground and pound punches that eventually forced the stoppage. In a stunning move, Pena then announced a hiatus, exiting the Hexagon at an incredible 12-0, and the most successful champion in the organisation’s history. It was a war of granite chins when heavyweight champion Andrew Van Zyl met the USA’s Jared Vanderaa in defense of the heavyweight strap. The expressionless Vanderaa took up position in the centre of the Hexagon, and over five rounds both men smashed each other in a relentless stream of precision striking. It was Vanderaa’s leg kicks that did the most damage, visibly crippling the champion, but they were not enough to rob Van Zyl of the title, who took it by split decision. Vanderaa put on a bone chilling performance, but shy of what it takes to unseat a king. 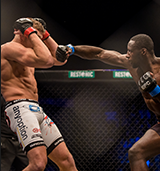 The finale of Season One of The Fighter was a bruising body shot affair for the most part, until the final ten seconds when France’s Ibrahima Mané unleashed with a head kick that split South Africa’s Brendan Lesar’s nose open, but was not enough to finish an immensely tough fighter. The win was given to Lesar by unanimous decision. 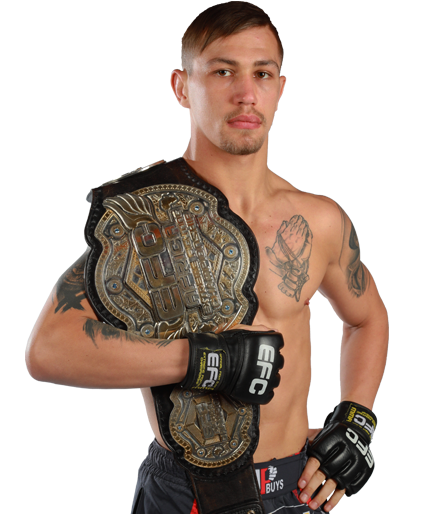 With a shattered nose, he was crowned the Ultimate Contender, and wins a six-figure EFC contract plus a shot at champion Dricus Du Plessis. 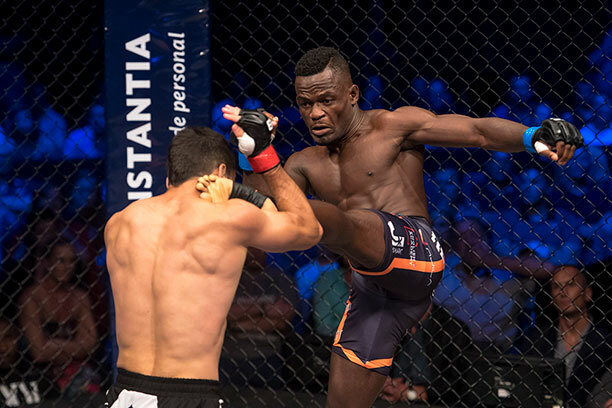 José Da Rocha feels he has something to prove after his debut loss to champion Dricus Du Plessis, despite his blistering KO of Cameron Pritchard at EFC 63, and his utter demolition of Pupanga Tresor tonight. Da Rocha was clinical and unstoppable from the first moment of the fight. Overwhelming Tresor with relentless takedown pressure, he patiently smothered the ‘Fireboy’ until the opening for an Anaconda Choke appeared, and sunk it in deep. Da Rocha is revealing himself as a searing threat amongst the welterweights, and the champion will be taking note. It was a technical battle that opened the night’s main card. France’s Philipe Rouch engaged South Africa’s Gareth Buirski with creative striking from all angles, contrasted with the solid, blue-collar style of Buirski. 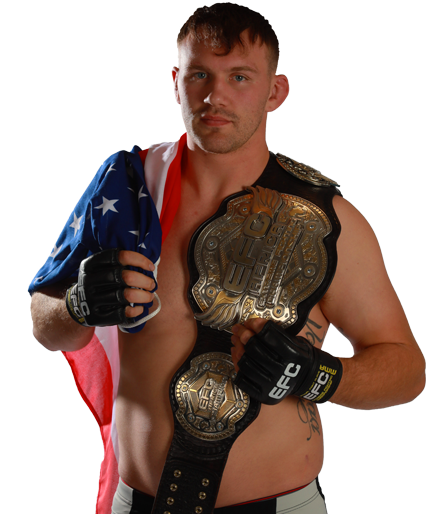 The pattern continued throughout, minimal strikes landing by both, punctuated by takedowns from Rouch, that more often than not ended with Buirski threatening a submission. On the night’s record breaking nine fight prelim card, two athletes wrote their names in lights. Morocco’s Rizlen Zouak drew attention to herself with a judo based win over debutant Bumni Ojewole earlier this year, but it was her straight right TKO of former title challenger Jacqui Trosee tonight that has elevated her in the women’s bantamweight division. 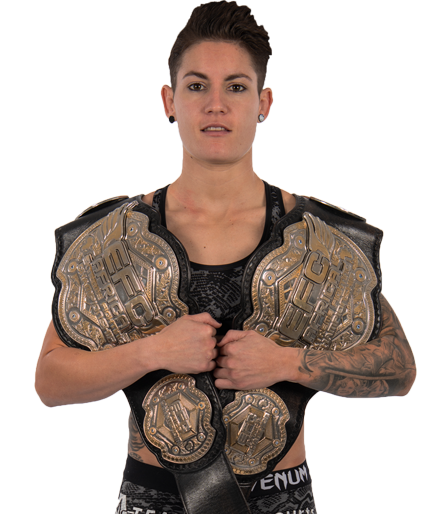 With her punching power and accuracy, and Olympic level judo combined with frightening ground and pound, she has revealed herself as a monster sitting firmly in the upper reaches of the division. 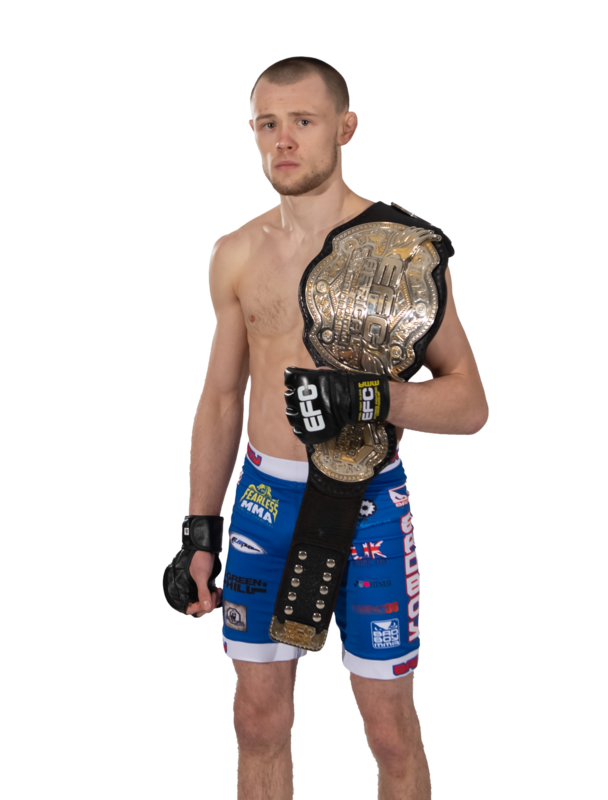 Ireland’s Will Fleury made a splash on TF1 – The Fighter television series, but due to a controversial decision did not get to show his true ability. Tonight his skill rose to the fore with a technical and devastating demolition of Gordon Roodman. Fleury certainly has the skills to back the talk. Performance bonuses were awarded to Rizlen Zouak and Kevin Koekemoer. Fight of the Night was awarded to the bantamweight title fight between Demarte Pena and Irshaad Sayed. Khulekani Hlongwa defeated Colin Hume via TKO (punches) 2:40 in round 1. Tresor Buluwa defeated Stefan Pretorius via TKO (punches) 4:29 in round 2. Martin De Beer defeated TC Khusu via TKO (punches) 1:27 in round 3. Quaid Openshaw defeated Mark Kamba via submission (Triangle) 3:53 in round 1. Steven Goncalves defeated Nerick Simoes via submission (Rear-Naked Choke) 4:34 in round 1. Ricky Misholas defeated Kevin Koekemoer via TKO (doctor stoppage) 4:31 in round 3. Gunther Kalunda defeated Conrad Seabi via unanimous decision. Rizlen Zouak defeated Jacqualine Trosee via TKO (punches) 0:27 in round 1. Will Fleury defeated Gordon Roodman via TKO (punches) 1:35 into round 2. Phillipe Rouch defeated Gareth Buirski by split decision. José Da Rocha defeated Pupanga Tresor via submission (Anaconda choke) 4:45 in round 1. Brendan Lesar defeated Ibrahima Mané via unanimous decision. Andrew Van Zyl defeated Jared Vanderaa via split decision, retaining the EFC heavyweight title. 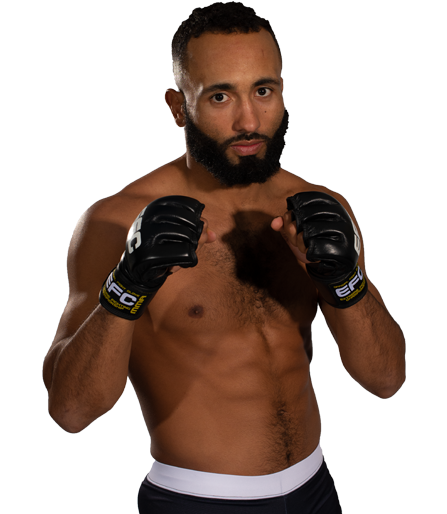 Demarte Pena defeated Irshaad Sayed via TKO (punches) 4:23 in round 4. 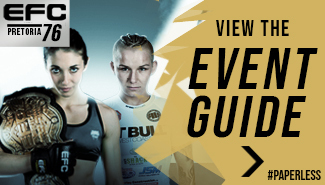 EFC returns on 10 March 2018 at Carnival City.